Columbus Day and it’s a holiday once again and a day to spend some time with your furry pal. With much anticipation, Columbus Day is usually celebrated across US with different events held in different regions. There is more to do on this day rather than just lazing away. Normally, for pet owners it’s time to spend more time with their four-legged companions. If you are thinking about what all things you can do this Columbus Day, then we have come up with some unusual things which you can do along with your furry pals and children. Columbus Day means holiday and it is a great way to connect with your furry pals. Arrange hunt game in your backyard or play some interesting dog game. Your dog will love to spend time with you and it is great way to spend your holiday. Going to historical places which are connected with Columbus day can make a wonderful holiday along with your lovable pooch. These places can give you more idea about the Columbus day, it’s importance and how this day came along. Your children may not be knowing about the importance of Columbus Day. Illustrating is the great way, which help children to better understand about the history and the importance of its celebration. You can even watch how your furry pals get interested into this when you’re talking about Columbus Day to your children. Interested in craft? 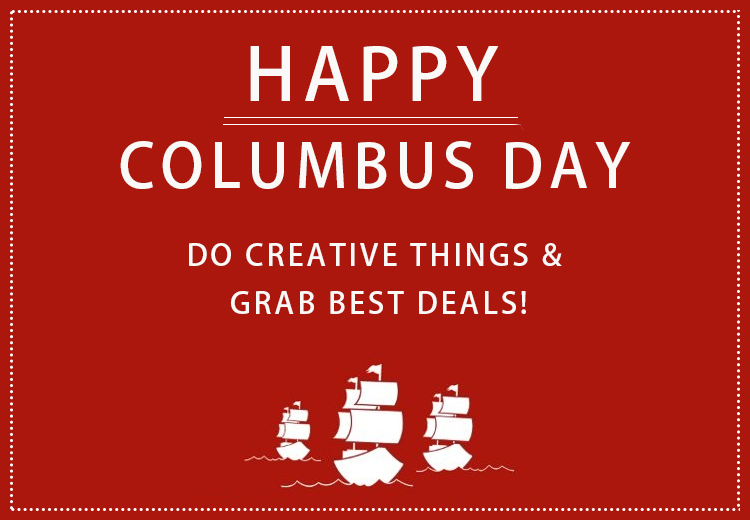 Just get those most creative craft ideas from Pinterest by searching Columbus day crafts. There are cute crafts that you can develop on your own and make your children involve into it. Some of these crafts may include making of Pinta, Santa, Nina or making telescopes out of paper. You can even craft some special items for your pet. Columbus Day and it is the time where you can grab huge pet supplies offers and save. At Pet Care Supplies, you can find pet products including dog supplies and cat supplies at unbelievable discount rates. You can save extra on all top brand products available at this store. So, what are you waiting for? Sail on the Columbus Boat and be first to save on the best deals.